Good looks run in the family! 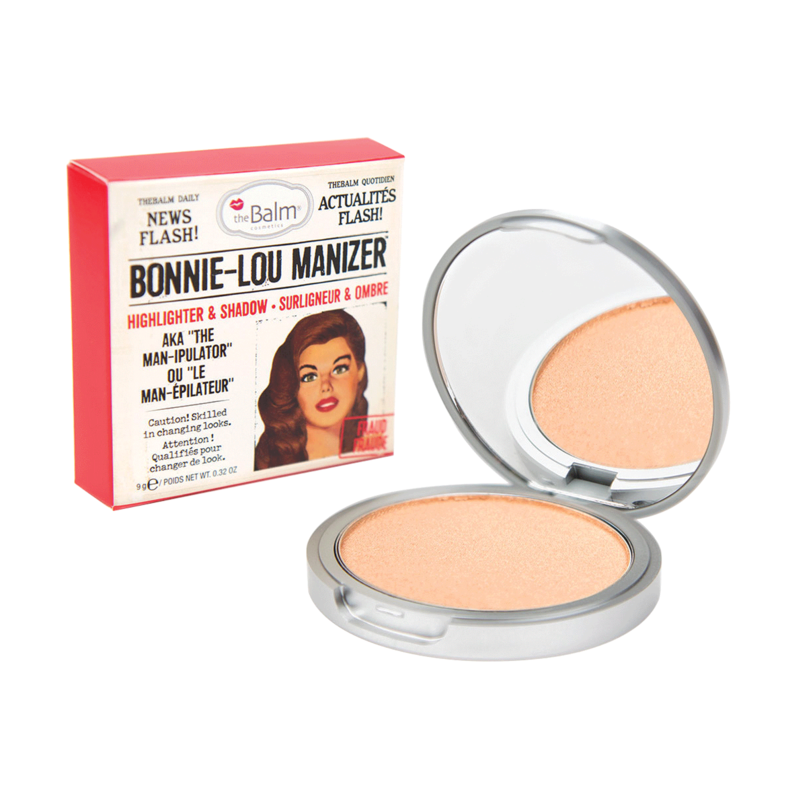 Introducing Bonnie-Lou Manizer from theBalm Cosmetics. This gorgeous, gilded glow-getter is an all-in-one highlighter, shadow, and shimmer! With a buttery texture and high pigmented payoff, rest assured you’ve got nothing to ‘lou’s! INGREDIENTS: MICA, ISOEICOSANE, POLYETHYLENE, BORON NITRIDE, SYNTHETIC FLUORPHLOGOPITE, POLYISOBUTENE, PTFE, SILICA, SYNTHETIC WAX, SODIUM DEHYDROACETATE, TIN OXIDE, DIMETHICONE, TITANIUM DIOXIDE (CI 77891), IRON OXIDE (CI 77491).